Does your wedding DIY have you losing your mind? It may be time to hand it over to the professionals. Check out the top DIY mistakes the professionals at Faulkner’s Ranch see brides make, and how we can help you avoid a potential Do-It-Yourself disaster. When it comes to DIY for your wedding, time is money. Sure, it may seem easy when you’re testing one or two of your Pinterest ideas, but many couples underestimate the time and money that can be lost when it comes time to making a hundred more of your handmade idea. This aspect makes hiring the right professionals key. For instance, hiring a wedding planner can save you time and stress, while choosing the right venue can also serve as a one-stop-shop for everything you need. While it may seem simple enough to hang some lights around your venue the day of your wedding, it’s a whole lot easier to leave the fuss to us. If it requires you or a loved one climbing a ladder or breaking a sweat on your wedding day, it’s not worth it! Many venues, including Faulkner’s Ranch, have numerous options for lighting to choose from, which can save you time, money, and the hassle of setting them up on the day of your wedding. Even if you are going with the simplest of floral arrangements for your tables and bouquets, no bride should be running around tying up bouquets and arranging flowers on the day of her wedding. 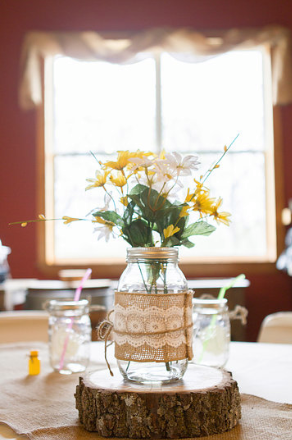 Most venues, including Faulkner’s Ranch, allow you to rent the components for your centerpiece, such as vases, votives, and mason jars. Renting these from your venue saves you the hassle of hauling them to and from the venue as well as tons of money! Once you’ve found your florist, show her your vision. This is where your Pinterest boards come in handy! A great florist will take note of your accent colors and incorporate trends to create a unique look for your special day. If you are looking to save money in this area, try asking your florist about using local flowers or simpler options that can help you save. 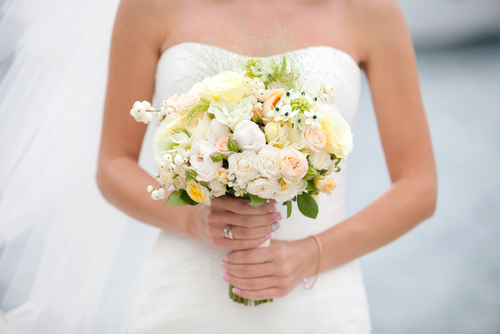 Flowers require a lot more time and attention than most brides suspect, so it’s best to leave this one to the professionals. Dining and décor set the mood for your whole reception, and while you may be a great dinner host for a group of eight, catering and decorating for an entire wedding is a whole other animal. When picking a venue, be sure to ask about what they offer and make sure they understand your vision. Venues that provide food and decor options do so because they have catering for large parties down to a science. This is one aspect of your wedding where you should definitely ditch the DIY. You’ll thank yourself later. Leave the details to us! 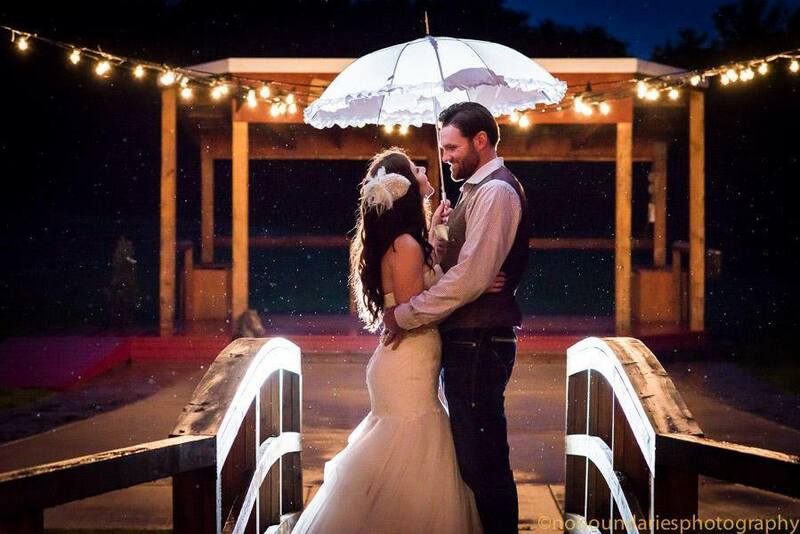 Check out our wedding packages and all we have to offer at Faulkner’s Ranch! There is no doubt that hair sometimes has a mind of its own, and chances are your wedding day won’t stop it from doing whatever it pleases. This is why hiring a professional hair stylist is a must. Your wedding is a day you will look back on for the rest of your life, so simply hoping for a good hair day won’t cut it. Once you’ve chosen a hair stylist, make sure to schedule a practice consultation before the day of your wedding to make sure you get exactly what you want when it comes time to walk down the aisle. With options to become ordained online, having a friend or family member officiate a wedding has become a popular option for brides. Although this may seem like a good idea, we suggest choosing an officiant with plenty of experience to avoid unwanted mistakes and a smooth ceremony. Many brides believe that this will add a personal touch to their ceremony, but too much joking around and personal detail can take away from what should be a very intimate moment. A less experienced officiant may forget critical parts of the ceremony or become too emotional to perform the ceremony, leaving you with a less than picture perfect moment. Instead, leave your ceremony to the professionals and save some time for your loved ones to speak at your rehearsal dinner or your reception! 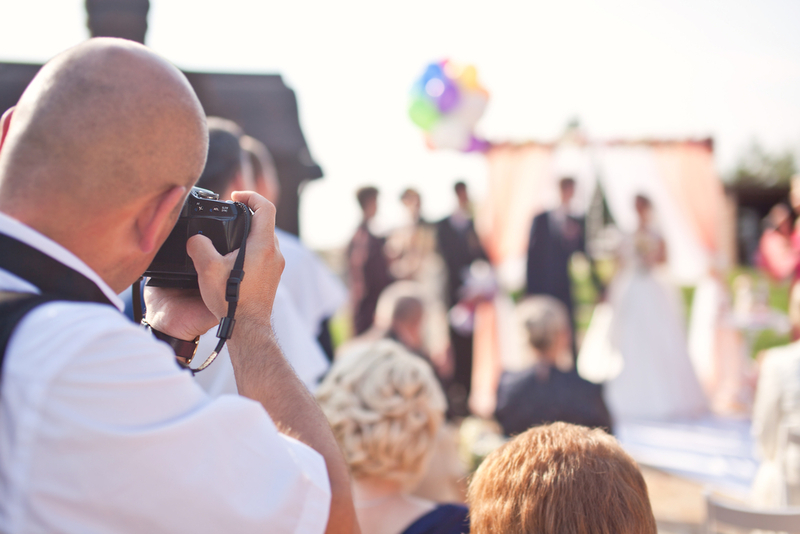 Whether it’s saying “I do” or sharing your first dance, there’s only one chance to get the perfect shot. No pressure. So while it’s sweet of your kid cousin to want to practice his photography skills, your wedding day should not serve as the guinea pig. Hiring a wedding photographer allows you and your guests to fully enjoy your wedding without the distraction or pressure of capturing every moment themselves. At Faulkner’s Ranch, we realize that your wedding is a once-in-a-lifetime event, and we treat it as such from start to finish. If you need help finding the perfect photographer, check out a list of our preferred vendors whom we recommend to our beautiful brides. The biggest reason brides resort to DIY is to save money. Most assume that doing it yourself is the cheaper option, when in reality it usually ends up costing you more money and – as we said earlier – more time. While certain DIY projects can be done successfully on a budget, it’s in your best interest to get quotes from the professionals first. If you compared the quote to what your DIY project would cost and it seems a lot cheaper, you probably forgot to put a price on your time. Time is money while planning a wedding, and sometimes it pays to hand it over to the professionals. Calling all newly engaged couples & wedding planners! Be sure to join us for our Barn Warming Open House on June 22. Learn more about the event and RSVP, here.